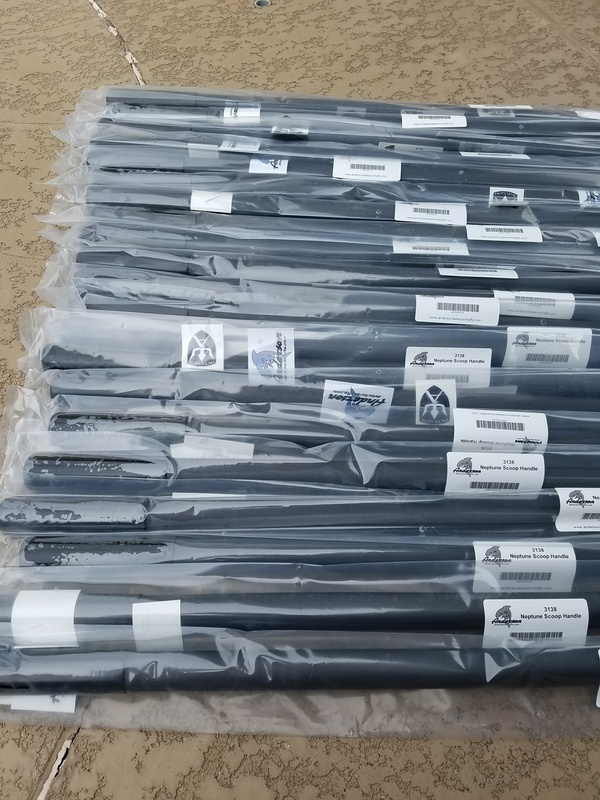 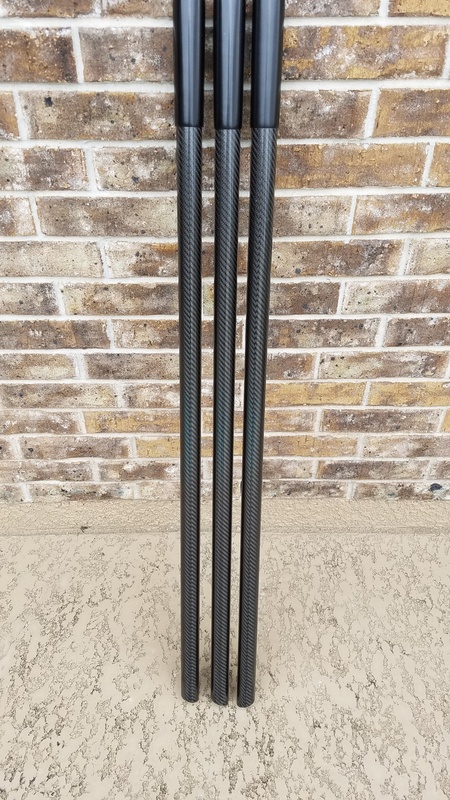 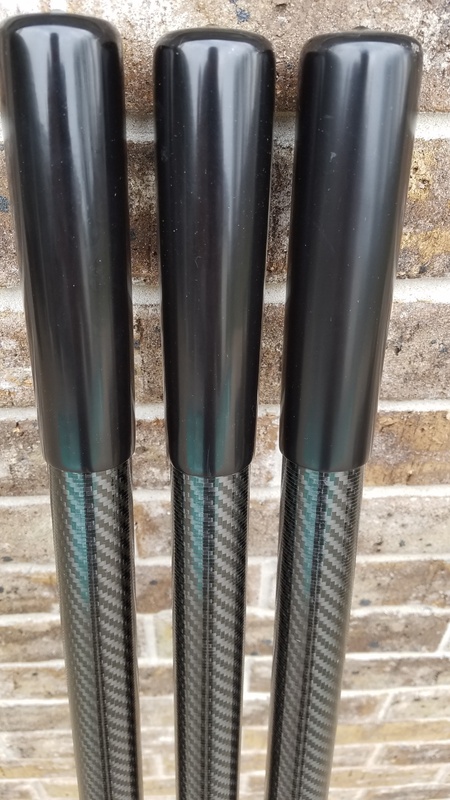 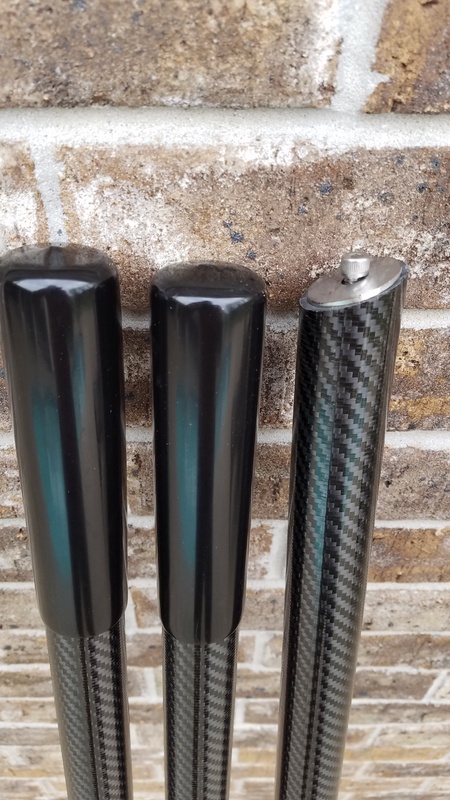 XTREME 46" TRIDENT Carbon Fiber Handle... *Textured sharkskin feel on the handle *20 degree bottom cut *Solid 6" core at bottom of handle *Polyurethane foam filled for flotation *316 stainless threaded insert bottom of handle w/ mounting hardware. 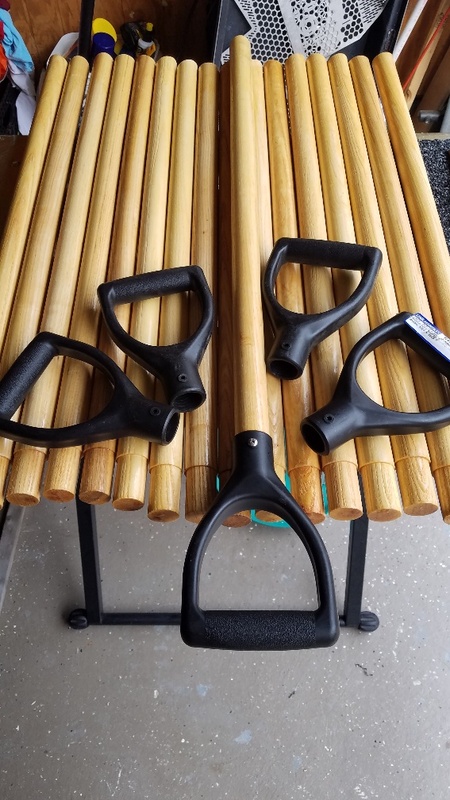 These handles are a perfect fit for all of our scoops! 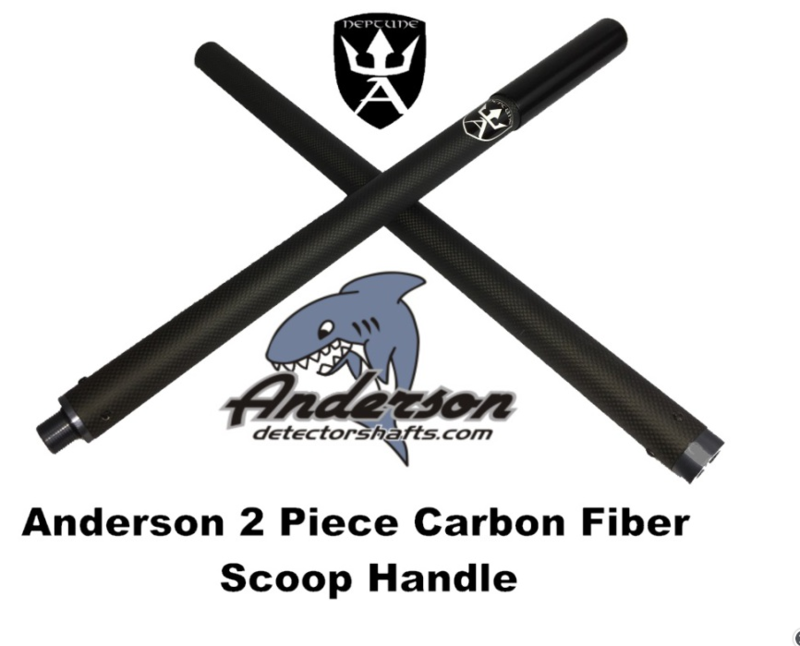 A new scoop handle design-compliments of Treasure Hunter and Firefighter-Battalion Chief Damon Mason... 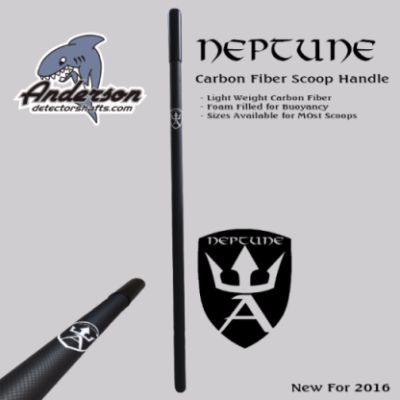 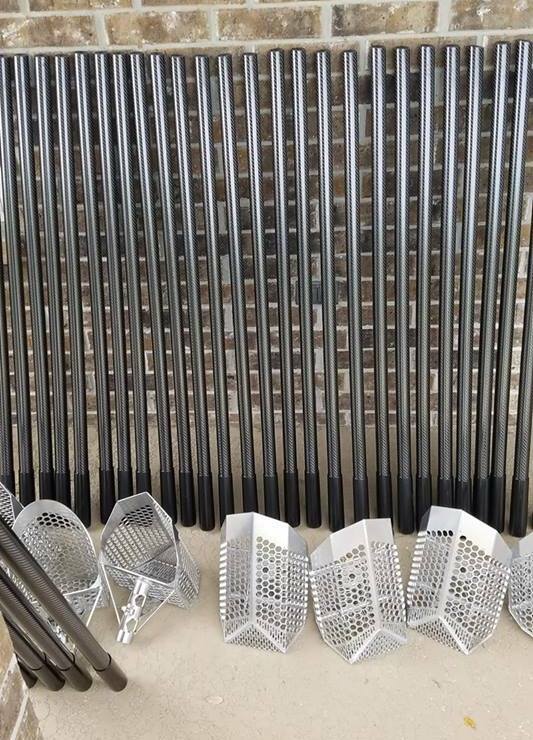 The BCM has been custom built to fit both our scoops and the poly D-grips perfectly... 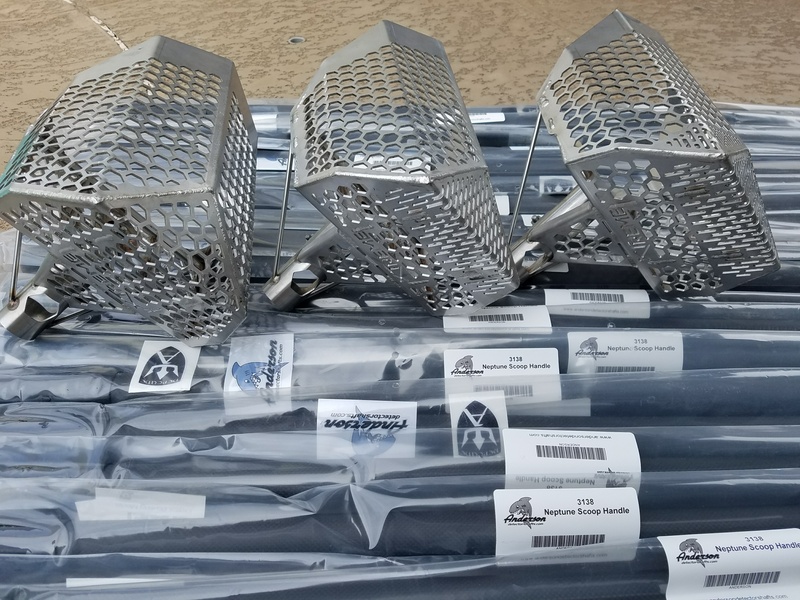 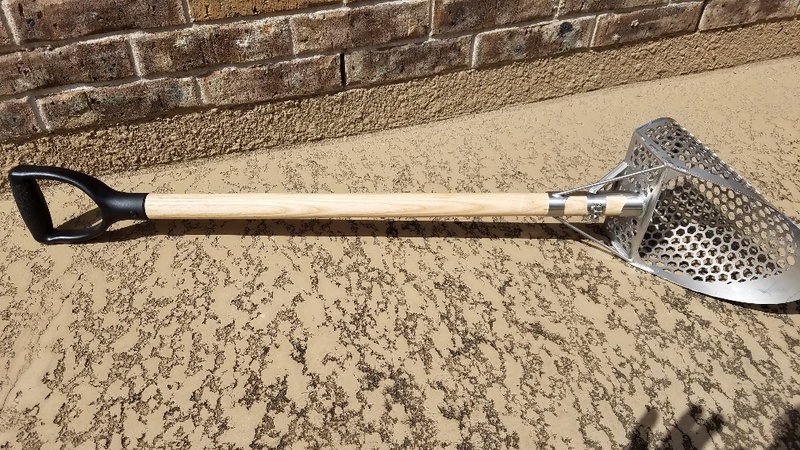 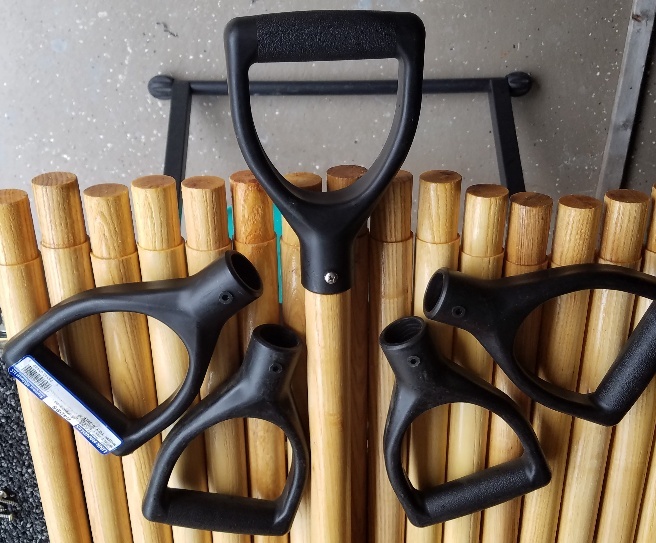 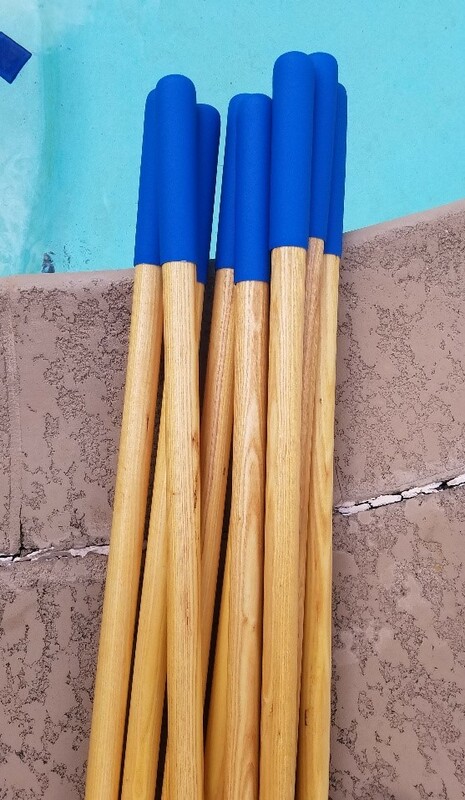 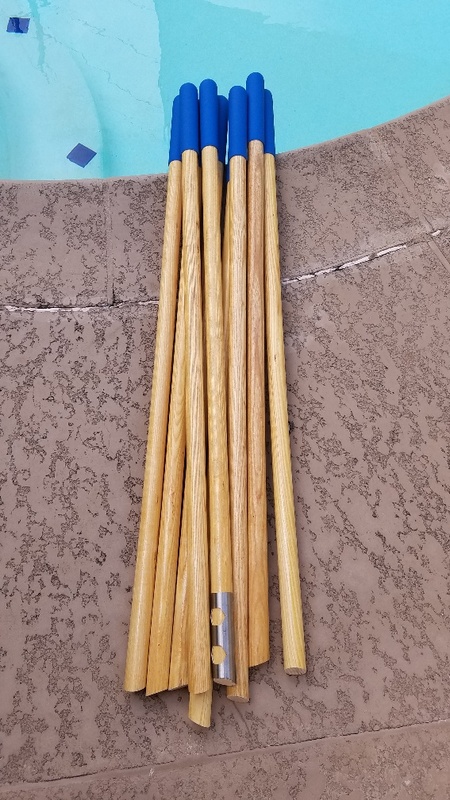 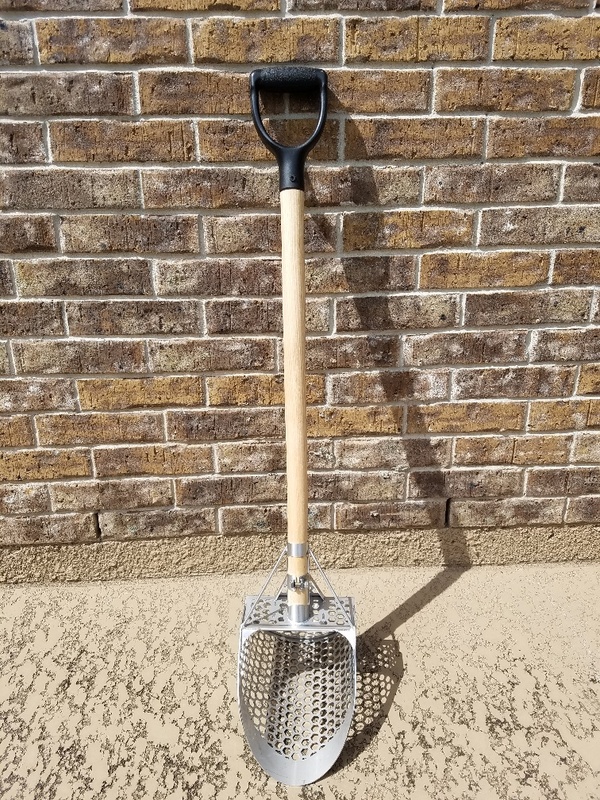 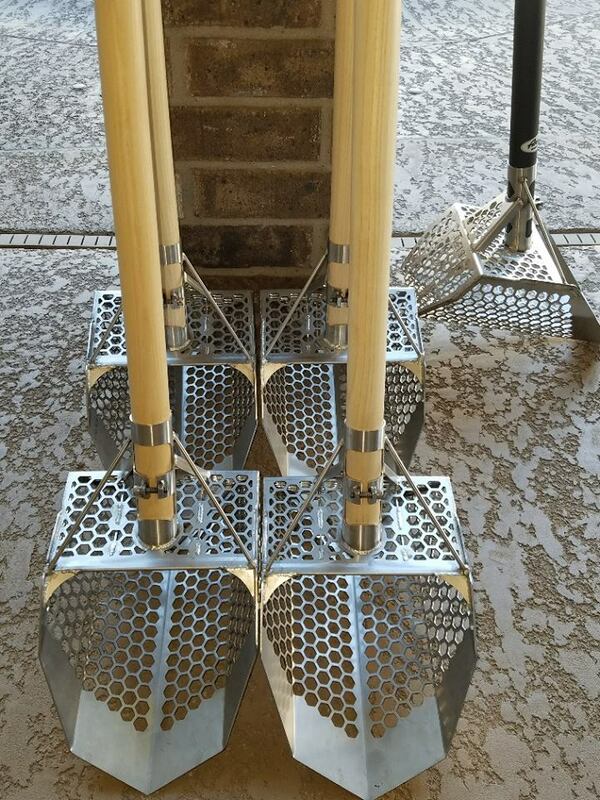 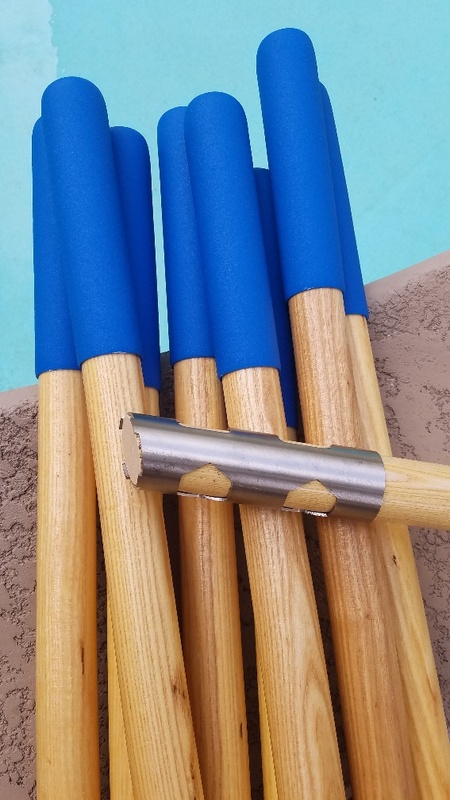 This is a perfect handle configuration for working both dry sand and shallow water...This is a light and fast digging handle design coupled with great digging ergonomics. 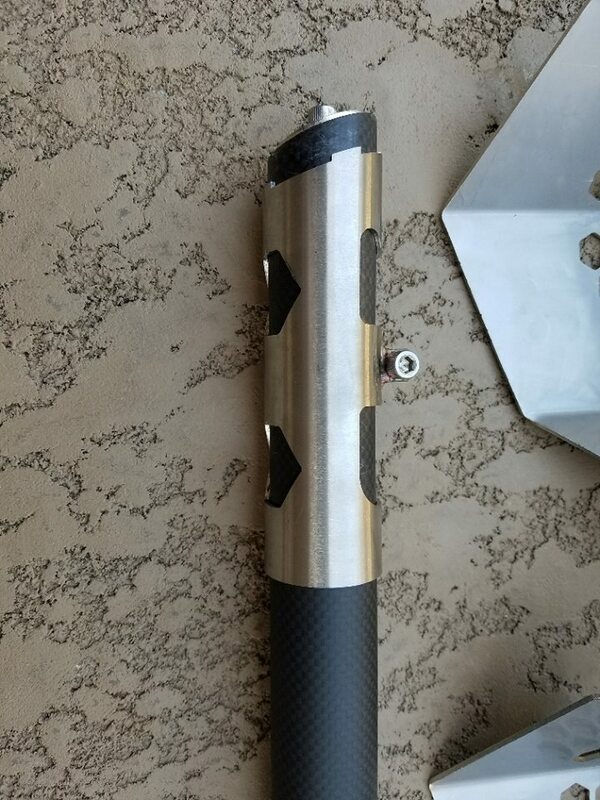 As usual, there is no grinding, sanding, or duct tape required to fit any our scoops!